Songstress, Tiwa Savage has broken the silence over the series of infidelity allegations leveled on her by husband, Tunji Balogun, aka, Tee Billz. 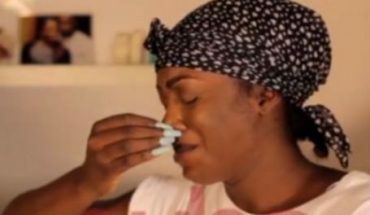 The talented singer who spoke on the troubling issues during an interview with an online news site, Pulse.ng , in her Lekki,Lagos home emphasized that she never cheated on her husband. According to her :”I have never cheated on my husband…not with Don Jazzy, not with Dr Sid, not with 2face..and I am willing to take a lie detector testI have never cheated on my husband. Not with Don Jazzy, Dr Sid, 2face Idibia or anybody. I have never cheated on my husband, and Tunji knows this. He knows that in his heart. (She breaks down in tears) Sometimes in the studio, one of the things that Don Jazzy and some of my other label mates say is that I am really good with interviews, with being diplomatic and knowing how to carry myself with difficult situations. This hurts.